You've got a couple more days to enter last week's giveaway, so get after it! First up, we have MoxieMandie. Mandie has been an online friend of mine for quite some time and she is a super sweet, genuine gal with a real knack for sewing and design. I love her bold and colorful prints she uses for her products. MoxieMandie specializes in pillow covers, zipper pouches, mug rugs, and she even has some fabric de-stash available. There isn't anything in her shop that I wouldn't *love* to own. I have one of her zipper pouches and use it on the daily. Her products are EXCELLENT quality, and coming from a high maintenance seamstress, you know that I wouldn't just throw that around. 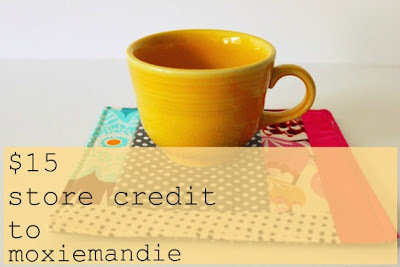 Today, Mandie is offering one reader a $15 store credit to MoxieMandie! Use code yellowsongbird to receive 15% off your purchase! Happy Pretty is a shop run by the beautiful Jessica Nicely ((She competed in Miss America!)). Colorful, playful, and fun designs can be found in Jessica's shop. 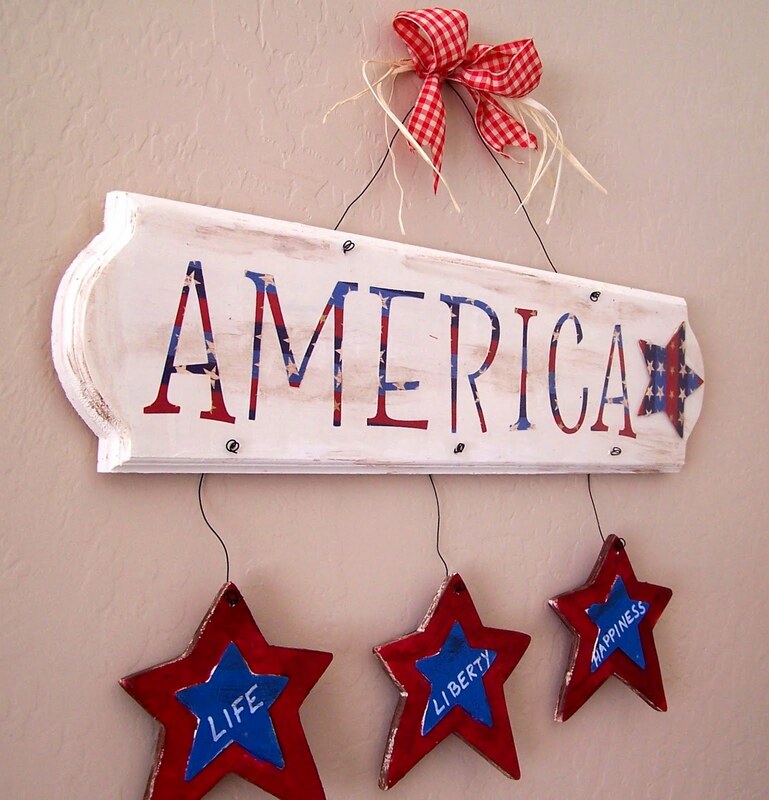 How can you go wrong with customizable wall decor? Today, Jessica is offering one reader this America sign in honor of the upcoming 10th anniversary of September 11th. 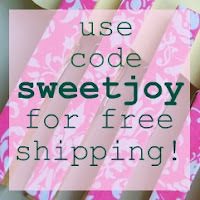 You can also use the code sweetjoy for free shipping on your order at Happy Pretty. Check out her main website to find out more about all Jessica has to offer. I have an infatuation with graphic prints and every single print from Red Robe Designs is no exception. It is a talent that I had a gifting in and I definitely don't, so I'll leave it up to the experts like Bethany. Inspirational, pretty, and unique prints is what you'll find at Red Robe Designs. 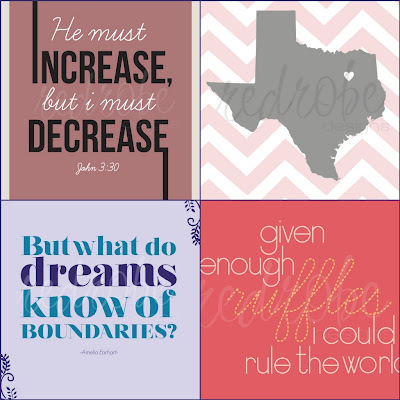 Choose from a variety of prints in many different sizes to add a little pizazz to your home. 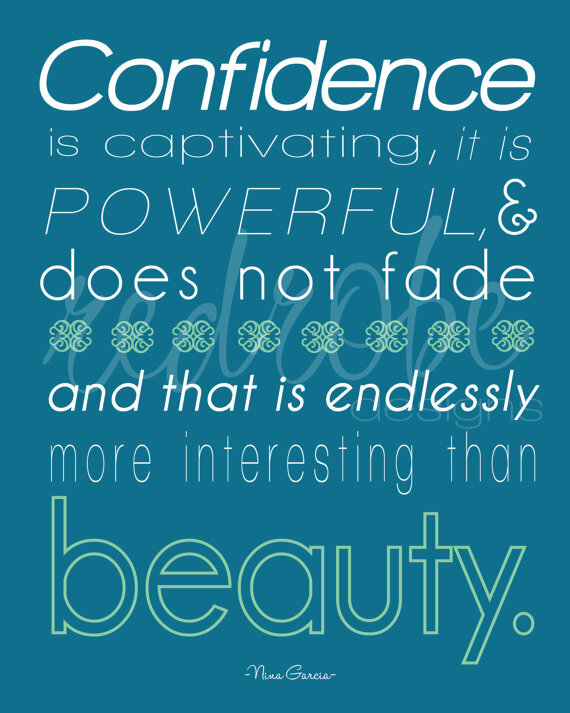 The winner of this giveaway will not only win the prizes mentioned above, but will also win an 8X10 print with this inspiring Nina Garcia quote. 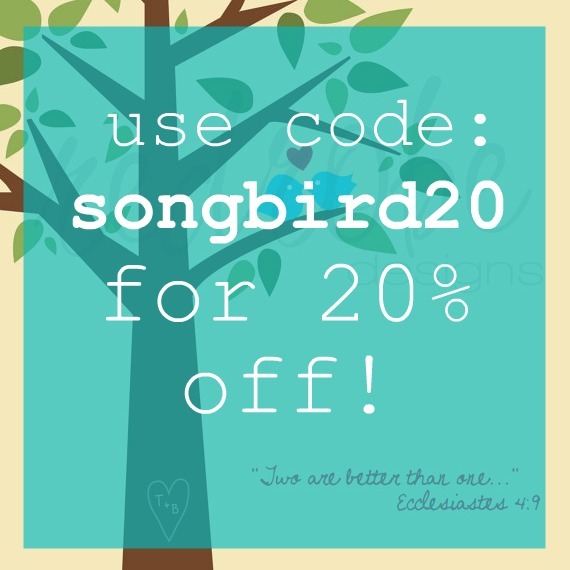 You can also use the code songbird20 for 20% off your Red Robe Designs purchase. To enter this GROUP giveaway, all you have to do is tell me what you are MOST looking forward to this fall. 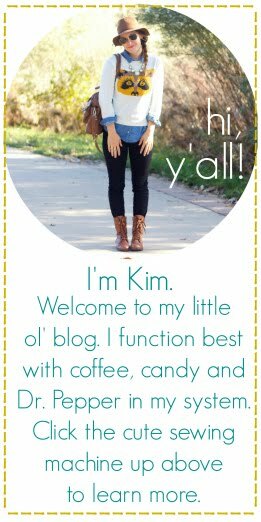 1. visit each shop/blog and tell me what your favorite items are in EACH shop (one entry). 2. follow yellow songbird via Google Friend Connect (one entry). ONE winner will be announced sometime next week and will win ALL of the prizes with a total value of over $60! Have fun! I am most looking forward to pumpkin spice lattes, jeans and boots, and sweaters and scarves!! I love red robe design's Psalms 139 Graphic Print. I love Moxie Mandie's Flat Front Wristlet Clutch in Lilac and Ivory Damask. I love Happy Pretty's Live Laugh Love Sign. I am looking forward to preparing for Christmas this fall! I am looking forward to cooler weather!! I tweeted/facebooked about this giveaway! 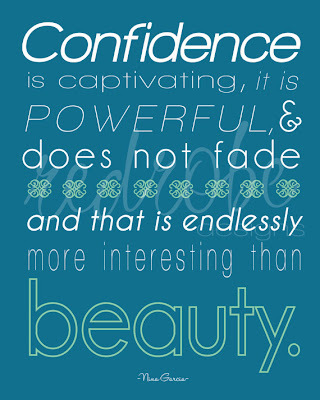 I love redrobe designs Ps 139 print! 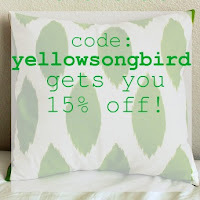 I love moxie mandie's natural pillow cover! 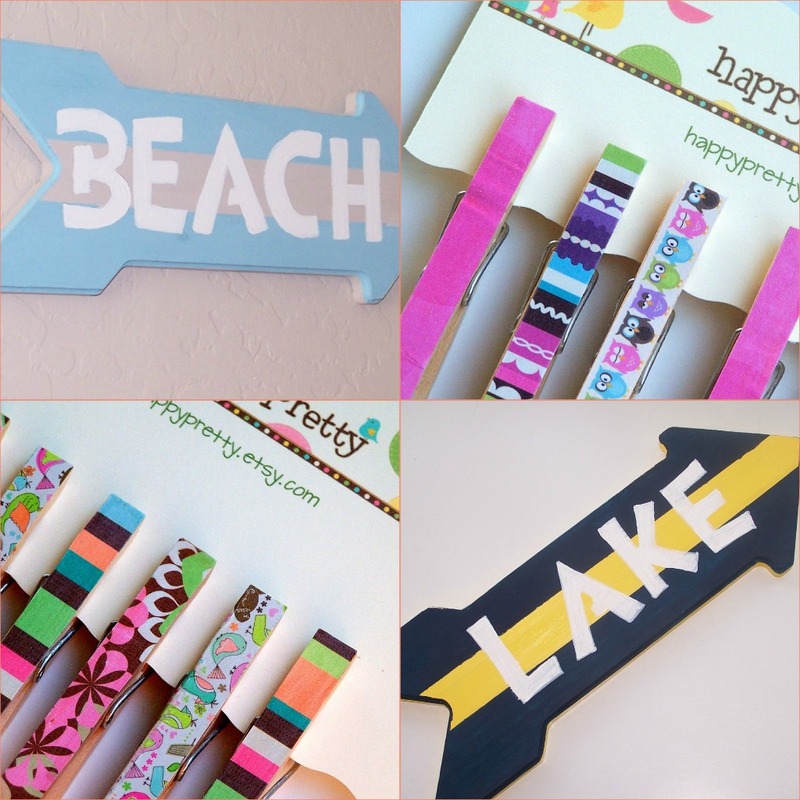 I love happy pretty's bright green key rack! I follow yellow songbird via Google Friend Connect. i can't wait for boots! and scarfs! i follow yellow song bird! Is this open to international readers of your blog? I am looking forward to have a hot chocolate and churros with my husband and little son one Sunday morning and then go for a walk with them. Thanks! I follow yellow songbird via Google Friend Connect. Thanks! I would like to say that I am most looking forward to the leaves changing...however I live in New Mexico and we don't have lots of trees.....BUT I am looking forward to cooler weather and warm beverages! I follow yellow song birds blog! Moxiemandie....do I just have to pick one?!!??! I LOVE the ikat stuff. Happy Pretty....the bow holder...pretty cute.. I can't wait to have pumpkin spice lattes, wearing boots, scarves & sweaters, and taking walks in the fall weather with my little man! I can't wait to show my new baby girl the joys of fall leaves, (mommy enjoying) hot apple cider and of course pumpkins! I am looking forward to the jackets, boots, and scarves. I love fall fashion! The love birds graphic is adorable! Yellow Swirly Flowers Pillow Cover, so fun. Sweaters ! And butternut squash soup. hello fall, i'm looking forward to bundling up in cozy sweaters, scarves and jackets...not to mention wearing my boots. i LOVE chilly weather! 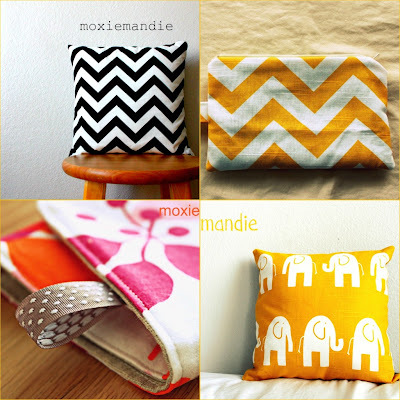 i'd love one of Moxiemandie's chevron pillows! they're fabulous! I am looking forward to moving to CA with my love and starting a whole new chapter of change in my life. I sent out the tweet! I'm looking forward to crisp chilly weather (which in Houston is 70!) and snuggling under a blanket with a book! I love the "What do Dreams Know of Boundaries" Graphic Print from Red Globe Designs, the Minty Floral Mug Rug by moxiemandie, and all of the clothespin magnets from happy pretty! Hot cider, donuts, and the leaves changing colors. I'm most looking forward to sweaters. :) Cozy warm sweaters. I can not wait for halloween!! 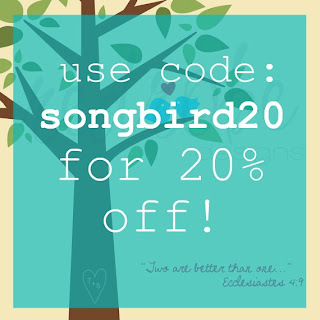 I follow yellowsongbird (and LOVE it!) with google friend connect! I am super excited about being able to sit outside and enjoy the fall breeze. I'm looking forward to pumpkin spice lattes and knee socks poking out of my boots. : ) Bliss. ps. I follow you via googlefriendconnect! i am looking forward to hikes in cooler weather and seeing the colors changing! At prints by redrobe I love the custom state print - michigan! thanks! At moxie mandys shop I love the blue and mud elephant pillow! at happy pretty i love the cute wooden clothespin magnets - the black and white ones! I'm most looking forward to college football! i'm looking forward to wearing layers!!! I am looking forward to spending sometime indoors sewing, creating, teaching and cozy-ing up my house for the winter months. Thank you very much for the giveaway! I'm still a follower of yours! I am definitely looking forward to not being HOT anymore! Dare to be different graphic print from Red Robe Designs. Bright yellow and grey chevron pillow from maxi mandi. And Jumbo clothespins from Happy Pretty. and shared on fb. thanks for the lovely giveaway! The thing I look most forward to this fall is sweaters and boots. I love fall clothes! Thanks all for the giveaway! I'm a follower by GFC! I'm looking forward to my sister's surprise birthday party...I can't wait to see her!